Have you been searching for a compact SUV that can handle your daily driving needs and save you money on fuel? If so, there aren’t a lot of choices, but at Lipton Toyota in Ft. Lauderdale, FL we have the perfect vehicle for you – the 2016 Toyota RAV4 Hybrid. Lipton Toyota has served Fort Lauderdale, FL and drivers from the nearby Dade County and Broward County areas with a great selection of new Toyotas for many years. Pay our dealership a visit at 1700 W Oakland Park Blvd. and discover the new RAV4 Hybrid today. The 2016 Toyota RAV4 Hybrid is a brand-new vehicle and enters a modest segment in the automotive market. The compact hybrid gets similar styling cues as the heavily-revised non-hybrid RAV4, which includes a modern look with available LED headlights and taillights. On the inside, the compact SUV has a comfortable, modern interior that can keep your passengers comfortable on a regular basis. 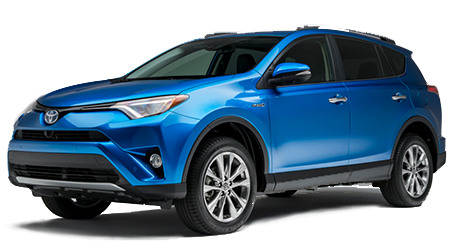 As a hybrid, the new RAV4 Hybrid boasts the same powertrain as the Lexus NX300h. The RAV4 Hybrid is equipped with a 2.5L four-cylinder engine that is paired to Toyota’s two-motor Hybrid Synergy Drive system for a combined output of 194 hp. To handle a variety of driving situations, the RAV4 Hybrid features an AWD system as standard. With the compact SUV’s efficient powertrain, you can save hundreds dollars of fuel every year. When it comes to getting a compact SUV that can save you hundreds of dollars on fuel today, the 2016 Toyota RAV4 Hybrid is one of the best options on the market today. To explore our large collection of new Toyotas, visit Lipton Toyota in Ft. Lauderdale, FL; we’re just a short drive from anywhere in Dade County and Broward County. We’re proud to be one of the state’s top-ranked Toyota dealerships and will get you our best price on a new vehicle. Stop by our dealership at 1700 W Oakland Park Blvd. and experience the new RAV4 Hybrid today.